Such a simple, yet delicious recipe! One for those sweet-toothers like me. There’s something hugely comforting about this soup. 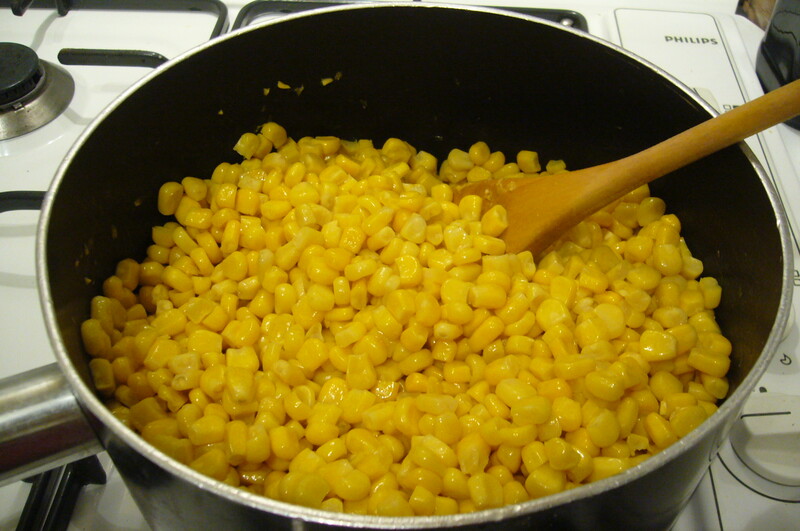 Fry the sweetcorn in a generous knob of butter, say a couple of tablespoons, for 5-10 minutes. Add the stock and blitz with a blender. Now comes the hard part – extracting all the yummy juice from the pulp. Push the soup through a sieve, little by little, until you have a smooth, creamy-looking liquid. Pour the soup back into the pan to heat through. That’s it! The world’s simplest, sweetest soup!